The cries coming from the acting-President of the Palestinian Authority and his rival political party, the terrorist group Hamas, to “defend al-Aqsa” stem from their claim that they are concerned that Jews are coming to destroy and/or defile the al Aqsa mosque, the third holiest site in Islam. 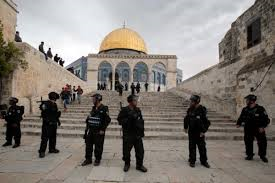 To generate such fear, one would imagine that Jews are coming to the Temple Mount (on which al Aqsa sits on the southeastern most tip) illegally, and are bringing with them weapons and shouting threats against the mosque. All of those assumptions would be completely false. To placate the outrageous claims from the PA, Hamas and the king of Jordan, on October 7, 2015, Israeli Prime Minister Benjamin Netanyahu announced a ban on Israeli members of Knesset from visiting the Temple Mount. Here is a review of the completely legal, internationally approved and natural rights associated with Jews visiting the Temple Mount and today’s sad reality that none of it seems to matter. to obey instructions given by the guards. Opening Times: Closed during all prayer times (variable); otherwise Sun-Thurs 0730-1130 and 1330-1430 (summer); Sun-Thurs 0730-1030 and 1330-1430 (winter); Sun-Thurs 0730-1030 (during Ramadan); closed to non-Muslims Fri and Muslim holidays. During periods of tension, the site may be closed. Admission Fees: No (for Temple Mount; charge for Dome of the Rock, Al Aqsa Mosque and Islamic Museum combined ticket). Reality today: Despite the publicized openness of the site, visiting this holy site and famous tourist location can be anything but pleasant. Hamas pays for Murabitun, Islamic extremists who shout and taunt Jewish visitors on the Temple Mount. Arabs have also hurled rocks at non-Muslim visitors. Due to the various attacks, Israeli police escorts typically accompany non-Muslim visitors. The military has also occasionally restricted access to the Temple Mount for Muslims under 50 years old due to security concerns. Facts: In 1994, Israel and Jordan signed a Peace Treaty. In that treaty was language that specifically gave special recognition of Jordan’s historic role at the Temple Mount site, while also cementing Israel’s responsibility for security. The 1994 treaty discussed the Temple Mount, because Jordan had secured custodian rights to the site. Jordan attacked Israel and illegally seized the entire Old City of Jerusalem (and Judea and Samaria) in 1948 and thereupon occupied the Old City. The Jordanians then expelled all of the Jews from the city and granted Jordanian citizenship to the Palestinians in the city. When Jordan attacked Israel again in 1967, it lost the Old City, but Israel allowed the Islamic Waqf controlled by Jordan to continue to administer the Temple Mount. Reality today: The kingdom of Jordan signed a treaty with Israel that assured the “freedom of access to places of religious and historical significance,” and to “promote interfaith relations… with the aim of working towards religious understanding.” The words in that agreement seem empty today as the Jordanian king claims the Temple Mount only has an “Arab character,” as he threatens to destroy the relationship with Israel because Jews are visiting the Temple Mount. Facts: When Israel reunified the city of Jerusalem in 1967, the Israeli Prime Minister Levi Eshkol handed administrative control of the Temple Mount back to Jordan, the country that had just attacked his country for the second time in 20 years. 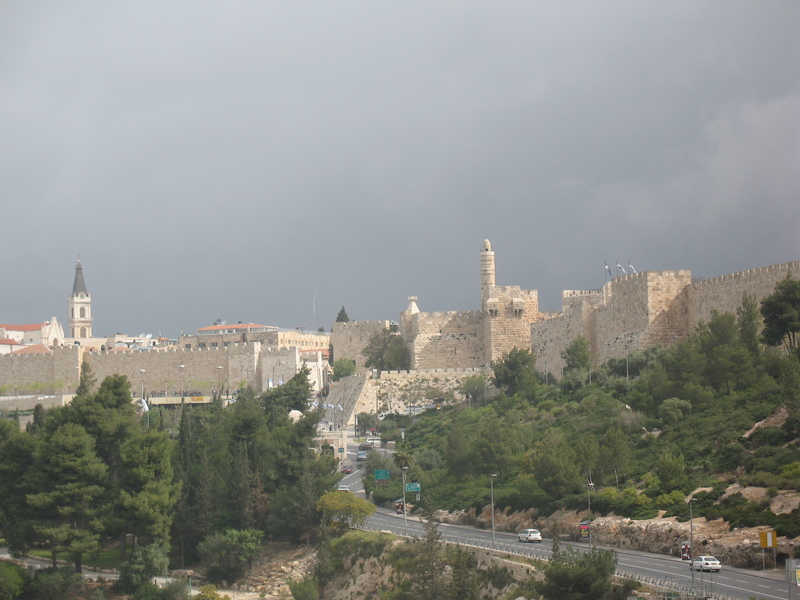 He then enshrined “The Protection of Holy Places” law that all people would have access to the holy sites in Jerusalem. ” 1. The Holy Places shall be protected from desecration and any other violation and from anything likely to violate the freedom of access of the members of the different religions to the places sacred to them or their feelings with regard to those places. Whosoever desecrates or otherwise violates a Holy Place shall be liable to imprisonment for a term of seven years. The 1967 Israeli Law was complemented by the 1994 Jordanian-Israeli Treaty which not only promised Israeli support for universal access to the holy sites, but Jordan’s support as well. Reality today: However, the current Prime Minister of Israel Benjamin Netanyahu is trampling on Jewish rights of access and “feelings with regard to those places” as he bans their visitation rights even though they bring no weapons and threaten no one. A person would naturally assume from these UN comments about Hebron and Bethlehem, that the UN must strongly endorse Jewish rights of access to their holiest site in the world, and it must strongly condemn any group or country that sought to deny Jews those rights. As detailed above, people of all faiths visiting the Temple Mount is legal by Israeli law, enshrined in an international treaty with Jordan, and follows a blueprint for co-existence as stated by the United Nations. Indeed, visiting hours exist for everyone. 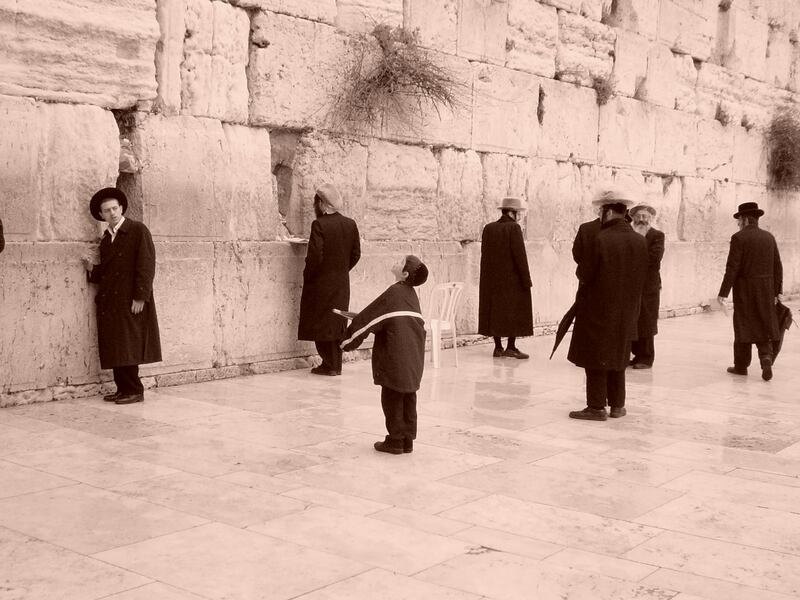 For Jews, visiting their holiest spot in the world is a natural desire. They seek to do so in peace and quiet. They do not seek to instigate a fight with anyone on the Mount. Even Rabbi Yehuda Glick who was shot by Palestinian Arabs for advocating for Jewish prayer rights on the Temple Mount, did not seek to harm al Aqsa Mosque in any way. If Jewish access to their holy sites is guaranteed and no one urged harming the site in any way, on what basis have Palestinian Arabs and Jordanians sought to deny Jews those basic rights of access? The Palestinian Arabs have put forth a narrative that the Jewish Temple never existed on the Temple Mount. Their rationale is that if the Temple never existed there, Jews can claim no special visitation rights. Never mind that even Atheists have rights of access. Never mind that denying a core belief of Judaism spits in the face of a treaty that sought to promote interfaith relationships. The argument itself is nonsensical by the Arabs’ own beliefs. The Christian story of Jesus is specifically placed at Jerusalem’s Jewish Temple. How can Abbas or Jordanian king Abdullah claim special rights over the Church of the Holy Sepulchre, if they deny the story of Jesus in Jerusalem? Regardless, logic and rights fall flat in the face of Islamic fundamentalism: The UN condemns Israel for managing security, for which it has responsibility. 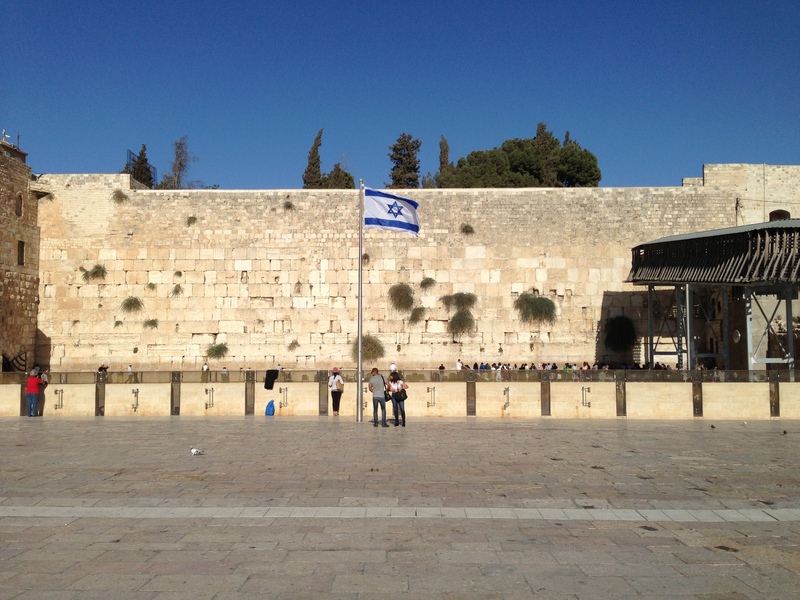 It attacks Israel for the “provocation” of enabling Jews to have access to its holy sites. And the United States urges Israel to maintain the status quo, even though Netanyahu has stated over-and-again that he has and will. So to appeal to the crazies, Netanyahu is banning members of the Knesset from access to Judaism’s holiest site. It would appear that the left-wing radicals and racists are slowly winning the battle against human decency. Israeli MK Taleb Abu Arar, ban Jews from the Temple Mount. This entry was posted in Israel, Jews, Palestinians, United Nations and tagged Abbas, access, Benjamin Netanyahu, intifada, Jerusalem, Jordan, King Abdullah, Temple Mount, United Nations by First.One.Through. Bookmark the permalink. Intifadah 2 was begun under the bogus pretext of PM Ariel Sharon visiting the Temple Mount. We later found out that Arafat had planned the destruction well before PM Sharon had any thought of visiting. It is no surprise that the latest events are pre textual as well.